Right from her childhood days, it was relatively obvious to her parents that their daughter was going to grow up a star, and they helped give her the extra push needed for her talent to flourish. Delta Goodrem is a multi-talented Australian celebrity. She is all of an actress, singer, songwriter as well as a TV personality. The multiple award winner signed with Sony Music when she was only 15 years of age and she released her first studio album at the age of 19. She was born as Delta Lea Goodrem to Lea Goodrem and Denis Goodrem. The actress was named after Joe Cocker’s song Delta Lady, one of her parent’s favorite songs. The Australian beauty was born in Sydney, New South Wales, Australia, on November 9, 1984. Delta plays the piano, guitar, keyboard, and she is also a vocalist. Her style of music is pop, pop rock and adult contemporary. She has been active in the entertainment industry for many years now and has worked under labels like Columbia, Daylight, Epic, Mercury and Sony Music. Growing up, Delta Goodrem was born into the Goodrem family, which comprises of her father, Denis Goodrem, her mother, Lea Goodrem and her younger brother, Trent Goodrem. Her parents are presently divorced and Trent is an Australian football player, who plays for Central District Football Club. At the age of 7, Delta started learning to play the piano, sing, dance and was also taking acting classes. At the same age, she appeared in her first TV commercial and did so for a toy company, Lewis Galoob Toys. The TV commercial also featured Australian actress Rebecca Cartwright. In 1993, her TV appearances had begun to improve as she featured in a couple of adverts. She appeared in a TV commercial for Australia’s second largest telecommunication company, OPTUS, and also in Nestlé’s Nesquik commercial. In the same year, she starred in her first TV show, making a guest appearance as Cynthia Broadhurst in Australian sitcom Hey Dad…!. Still, in 1993, she featured in two episodes of Australian soap opera A Country Practice. Even as a teenager, she still managed to work both her music and acting career with ease. She signed with a top music label, Sony Entertainment when she was 15 and had previously recorded a 5-song demo CD two years back. In 2002, she picked up a regular role as Nina Tucker in Australian soap opera, Neighbors. Her role in the TV show was a major step up for her career in acting. She reprised her role as Nina Tucker in subsequent series of the show from 2002 to 2005. In 2015, she appeared as a guest on the show, to celebrate the show’s 30th anniversary. A year after Delta Goodrem started making appearances in Neighbors, she dropped her debut album, titled Innocent Eyes. The album was released on March 24, 2003, in Australia. It was later released in the UK on June 30, 2003. The album contains 14 tracks and lasts for 56 minutes 6 seconds. It ranked as number one on Australian ARIA Album Chart during its first week after dropping and also maintained its number one spot on the annual chart. She went on to release four more albums: Mistaken Identity (2004), Delta (2007), Child of the Universe (2012) and Wings of the Wild (2016). But her most successful album yet remains innocent Eyes. In 2005, she featured in her first film. She starred in the Australian comedy film Hating Alison Ashley, as the film’s main character, Alison Ashley. Delta Goodrem was a guest judge on the 2009 Australian Idol. She also appeared as a judge on numerous times on The Voice. In mid-2003, while still working on-set of the Neighbours and just a few months after the release of her first album, Delta was diagnosed with Hodgkin’s Lymphoma. After she was diagnosed, she hit a pause on her career. Fortunately for her, her cancer has since gone into remission. She has since committed herself to support the fight against cancer. Delta is yet to tie the knot with anyone. She is presently single and is fully concentrated on her works and her career. However, the beautiful singer has dated quite a number of men. She dated fellow Neighbors star Blair McDonough for a few months between 2002 and 2003. She then dated retired tennis player, Mark Philippoussis in 2004. Their relationship ended following reports of Mark’s unfaithfulness headlining newspapers. 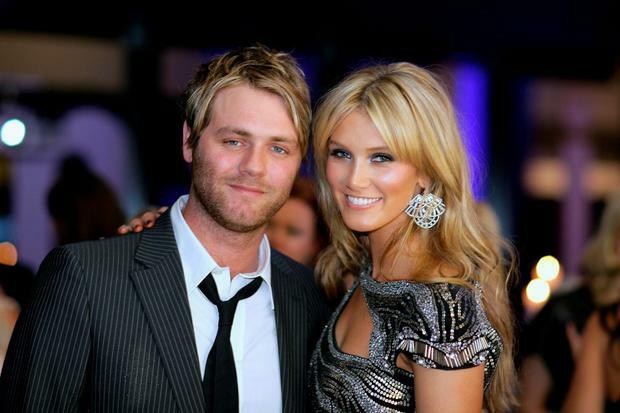 Her longest relationship was with former Westlife singer, Brian McFadden. The couple dated from 2004 to 2011, and they collaborated and sang Almost Here. The pair got engaged in late 2007, but after so many years of their on and off relationship, they broke up in 2011. Delta Goodrem also had short-lived relationships with Nick Jonas and Darren McMullen. Goodrem stands at 178cm (5’10”) tall. She weighs 62kg (137 pounds) and her body measurement is 36-25-36 which could be interpreted to mean that her chest is 36kg, while her waist and hip is 25 and 36kg respectively.